. : Removals Harrow │ Man and van Harrow removal service :. 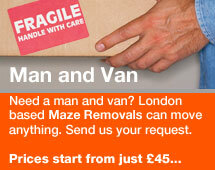 Moving in Harrow and Man and van Service. Get a free quote for all your moving needs, whether you’re moving house, home, office or flat, we can help. 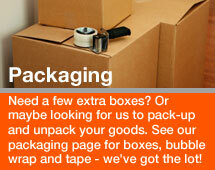 Our man and van or full service team will make all the arrangements for removals of all sizes. 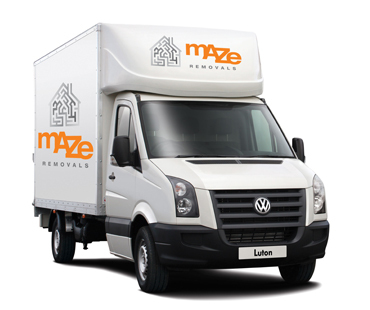 Maze Removals now offeres house clearance in Harrow and all areas of London, Hertfordshire and surrounding counties. We will clear houses and flats of any size. Call us for a bespoke quote for House clearance in Harrow. HA1 includes Harrow, Harrow on the Hill, North Harrow, Northwick Park. HA2 includes North Harrow, South Harrow, Rayners Lane. HA3 includes Harrow Weald, Kenton, Wealdstone, Belmont. Get a free quote now or call us on 01895473398 / 0784 7541 036. 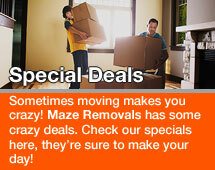 Moving is easy with Maze Movers! A big thank you for the great service you provided yesterday. I was very impressed with the 2 gentlemen who help us move to Wembly. I will be moving again in three months and will not hesitate to use your team again. Once again many thanks. 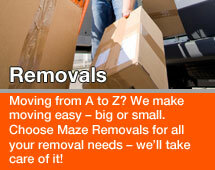 Maze Removals is your one stop solution. For domestic and commercial jobs, big or small, you can even call us to get rid of unwanted furniture, white goods or rubbish. Moving anything is easy with Maze!